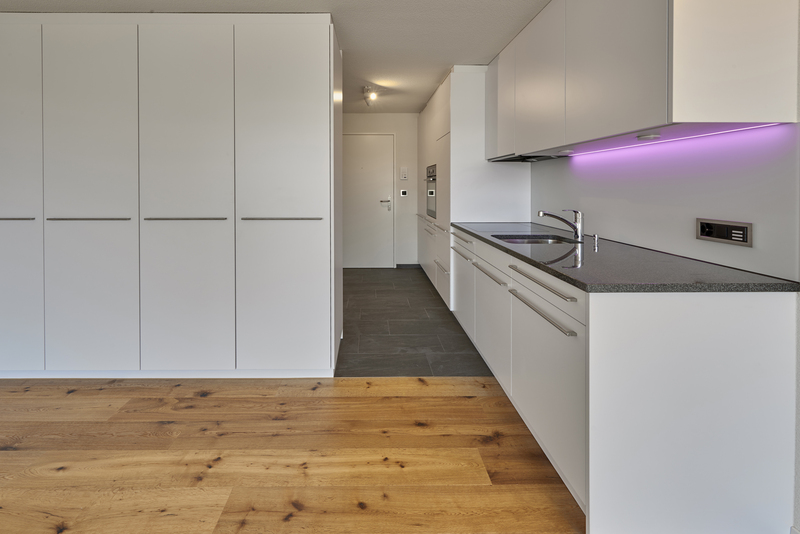 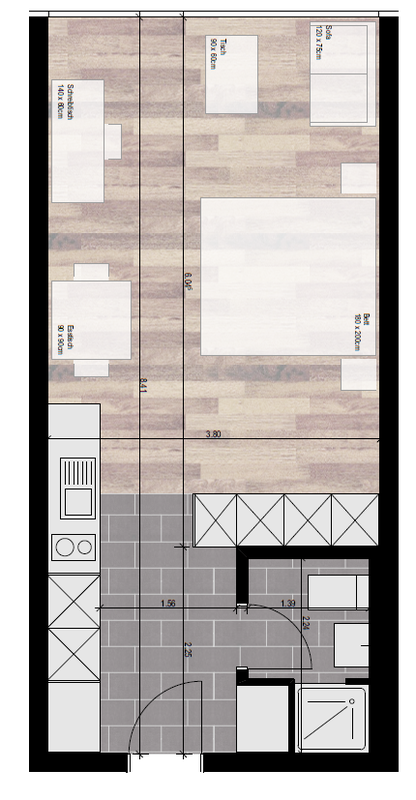 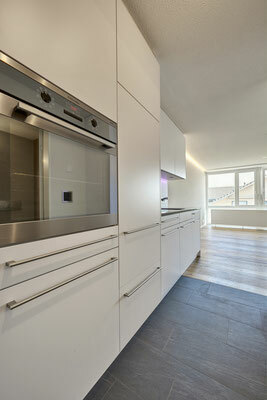 At the entrance is the fully equipped kitchen with four cooking zones, oven, refrigerator and sufficient storage space. 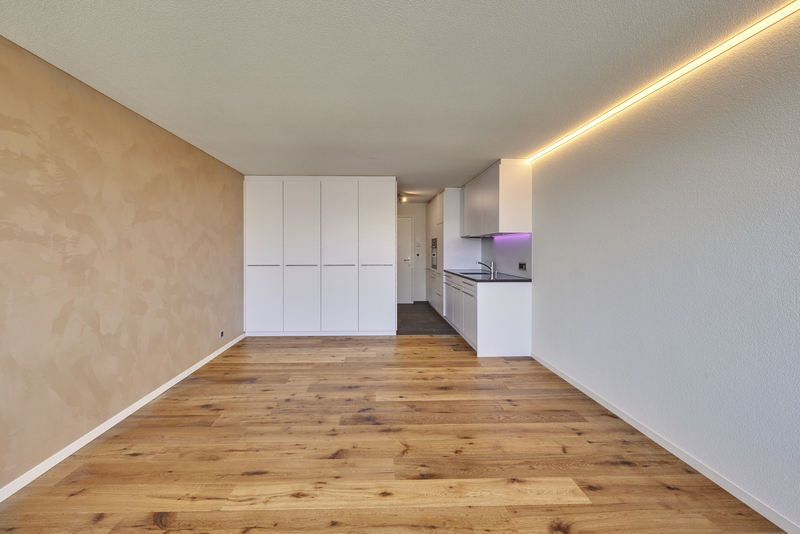 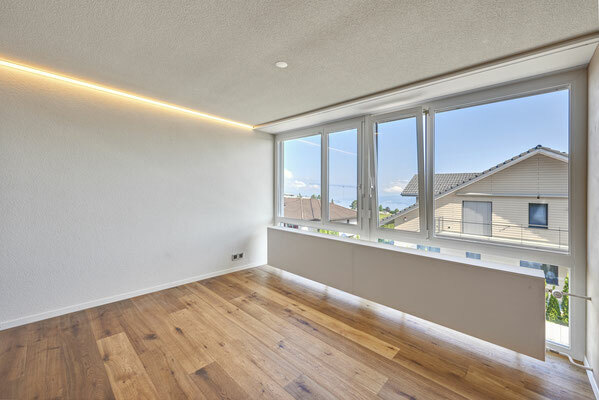 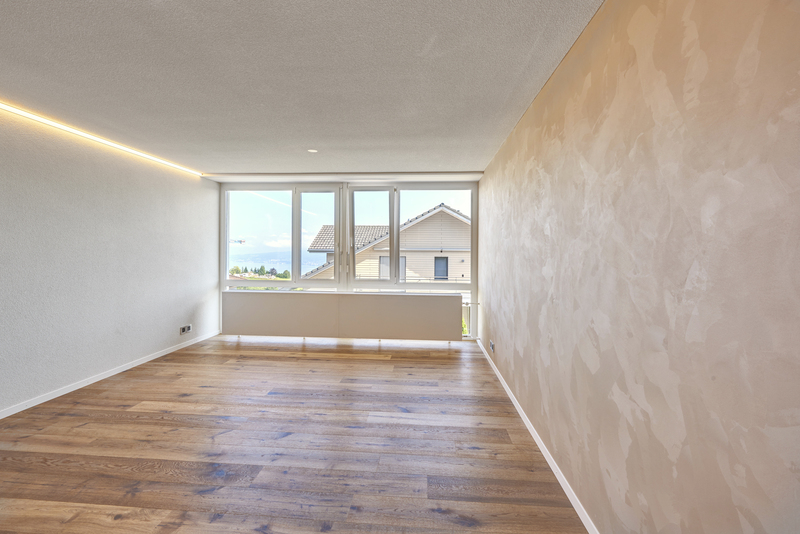 The combined living and bedroom offers a partial view over Lake Zurich. 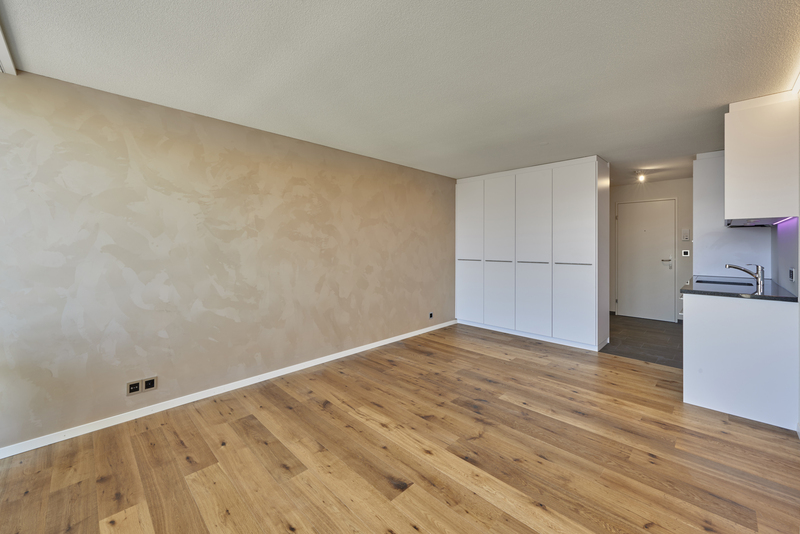 The studio has generous built-in wardrobes. The room is equipped with modern oak parquet floors. 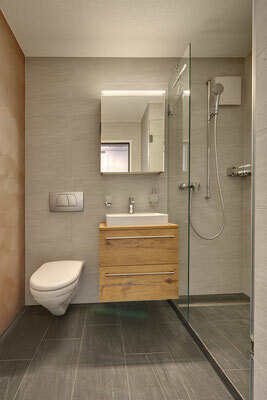 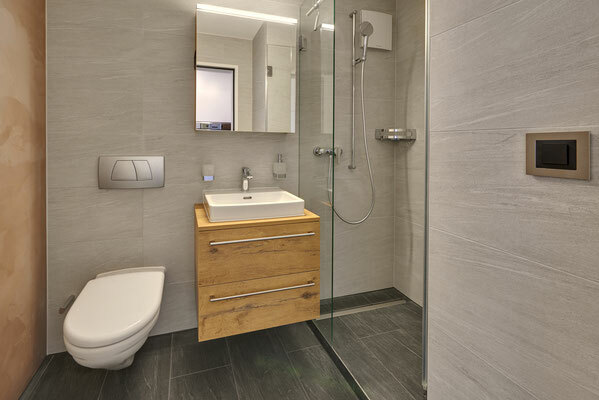 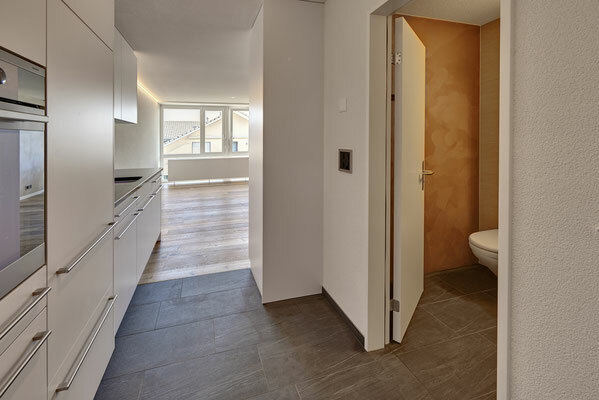 The bathroom with toilet, shower and washbasin is equipped with state-of-the-art materials.